One of the first agenda items on the to-do list for the new Congress is redefining the definition of full-time work under Obamacare's employer mandate, which goes into effect this year. Under the healthcare law, companies have cut hours in order to avoid reaching the Obamacare threshold requiring businesses to provide health insurance if they employ more than 50 full-time workers at 30-hours per week. As a result, the economy is seeing an substantial shift from full-time to part-time workers with fewer benefits as a result of the law. Republicans have long expressed the need to re-establish the definition of full-time in Obamacare and they've found an unlikely ally on the topic in labor unions. Leading unions bosses, including those who have supported President Obama and Obamacare in the past, have been furious for years about the health legislation's devastating effect on working Americans. In 2013 Teamsters President Jimmy Hoffa, UFCW President Joseph Hansen and UNITE-HERE President D. Taylor sent a scathing letter directly to President Obama and Democrats demanding a fix. Time is running out: Congress wrote this law; we voted for you. We have a problem; you need to fix it. The unintended consequences of the ACA are severe. Perverse incentives are already creating nightmare scenarios. Regardless, President Obama issued a veto threat earlier this week, saying through his press secretary Josh Earnest that if Congress were to pass legislation re-defining "full-time" under Obamacare he would reject it, further putting him at odds with Republicans, Democrats, his rhetoric about supporting the middle class, the vast majority of the American people and the labor unions who have given him and his party unwavering political support. 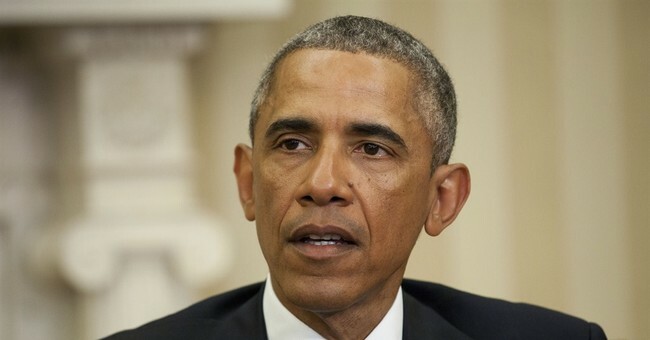 Congressional lawmakers, including Democrats, rebuked the White House on Wednesday for refusing to allow tweaks to Obamacare, saying President Obama is reneging on his promise to work to fix problems in the law. A day after the White House said it would veto a bill to re-establish the 40-hour workweek standard, House and Senate members said they would press ahead and dare the president to oppose them. The House will vote Thursday on legislation redefining full-time work as 40 hours per week under Obamacare and the new GOP controlled Senate will take it from there.